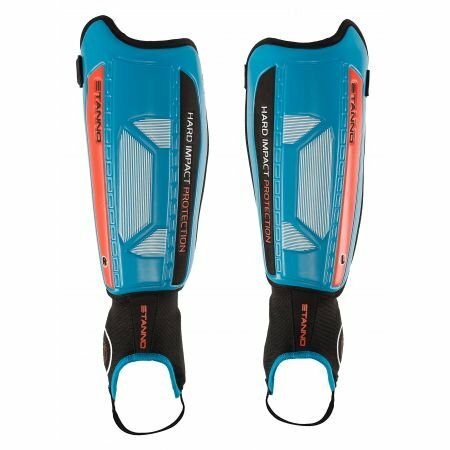 These shinguards have a hard scale for optimal protection. They include ankle protectors and have an anatomical, comfortable fit for the left and right leg. The hard cover reduces the impact of a shock optimally. The shinguard is secured with two velcro straps.